Vanderbilt University has received a transformational $20 million gift from a donor-advised fund of alumnus and Board of Trust Vice Chairman-Elect Jeffrey Rothschild and his wife, Marieke, that will accelerate ongoing development of its residential colleges program, College Halls. With several new buildings already open—and more to come over the next decade—the living-learning initiative is designed to build community, support student success and extend educational opportunities beyond the classroom. College Halls launched in 2008 with the opening of what is now The Martha Rivers Ingram Commons, where all first-year Vanderbilt students live alongside faculty mentors who guide the students in developing and participating in an array of educational programming throughout the year. In 2014, Vanderbilt opened Warren and Moore colleges, available to sophomores, juniors and seniors. The Vanderbilt and Barnard colleges are scheduled to open in the fall of 2018. The Rothschilds’ support will help fund these latest projects as well as future College Halls. A technology visionary, Rothschild co-founded Veritas Software and led development of Facebook’s infrastructure platform as its founding vice-president of engineering, serving in that role from 2005-2015. 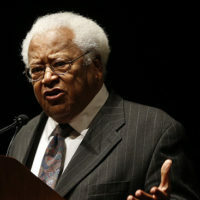 He graduated from Vanderbilt with a bachelor’s degree in psychology in 1977 and a master’s in computer science in 1979. Marieke Rothschild, who grew up in the Netherlands, is a strong supporter of providing college access to qualified students. 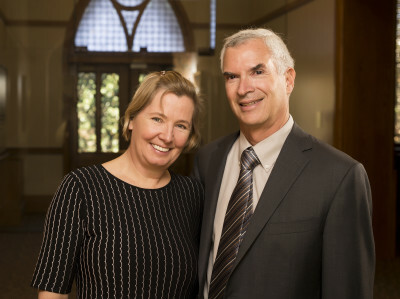 In 2013, the couple established two Jeff and Marieke Rothschild Scholarships, one to provide financial aid for incoming students at Vanderbilt’s School of Engineering and the other for College of Arts and Science students. Jeff Rothschild, who is engaged in FutureVU, the university’s yearlong campus land use planning initiative as a member of the Vanderbilt Board of Trust, recalled his own time as a student in making his decision regarding the College Halls gift. Martha Rivers Ingram, a longtime Vanderbilt benefactor who served for 12 years as chair of the Vanderbilt Board of Trust and is now an emerita member, said she welcomed the gift to support College Halls.